What? Monday again? I'm lobbying for an extra day to be inserted between Sunday and Monday, because I never quite seem to get to Monday morning on time. So, just a few hours late, here's my Monday review! I liked that once Cedar gets started, we find that Leo has his own depths. Not tragic, like hers (which he knows about; Iron Creek is a small town and everyone knows about her loss), but he's a fully-rounded human with his own struggles. This makes their friendship feel real, not just a convenience for the author or for Cedar. The pair are certainly motivated, and if I'm a little dubious about the legality of 12-year-olds holding a regular job, (very minor spoiler alert!) the kids and the author know that their extra business is going to get them in trouble, as it does, so that part is realistic enough. The kiddie employment was one element that made me at first think this book had a historical setting, but it doesn't seem to (though come to think of it, the kids don't have cell phones or computers, so maybe it does hark back to a little earlier time. The author makes no effort to nail down a sense of time, and the small-town setting helps it feel like anything from the 50s up). Probably my only issue with the book was my jaded sense of "here's another kid's book about death and loss," due to a recent run of books on those lines. That's scarcely the book's fault, though I do think the trope is getting a bit overused. Oddly, there was an autism element in this one, too--the lost brother was autistic, and that adds an interesting layer to Cedar's grief, without being a story-line gimmick. It's also interesting to see how Cedar, her mother, and her little brother Miles all deal with their loss. Though Miles seems a fairly static character through most of the book, in the end we see that he, too, is working things out. Nor is there any magic healing at the end. Grief isn't a process with a finish line. These three have simply made it through another summer. Perfect for ages 9 or 10 and up. The language is good, the writing, as noted, is excellent, and I think the story is equally engaging for girls or boys. It's not a tear-jerker--that grief is in the past--but it is certainly a moving book as well as at times a lot of fun, with kids who are taking some responsibility for their own lives. 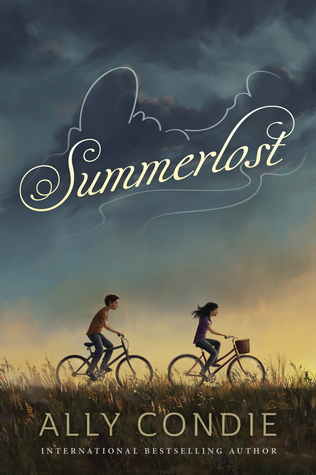 FTC Disclosure: I checked Summerlost out of my library, and received nothing from the writer or publisher in exchange for my honest review. The opinions expressed are my own and those of no one else. I am disclosing this in accordance with the Federal Trade Commission's 16 CFR, Part 255: "Guides Concerning the Use of Endorsements and Testimonials in Advertising."